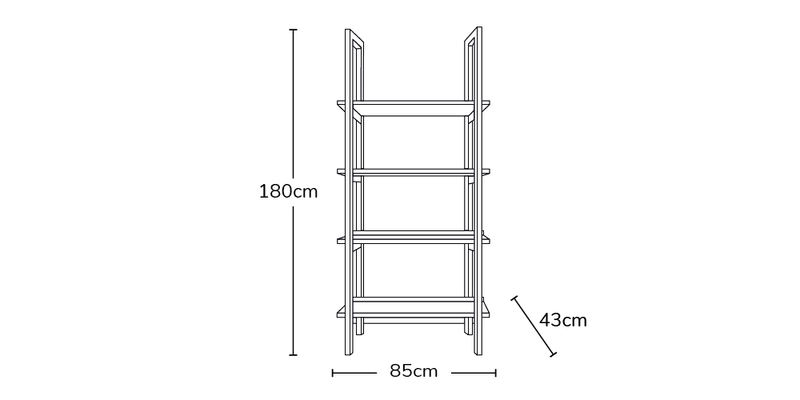 The Stockholm Ladder Shelf is an elegant stylish storage solution that is 100% handmade by experienced craftsmen in the heart of Britain using high quality veneer. Featuring two continuous leg sides supporting 4 large shelves with a raised back to stop anything slipping down the back. This Unit is stylishly functional, danish inspired and guaranteed to make a statement. All our handmade furniture is 100% created in the UK and can be customised to suit your style and space, if you require a customisation or just have a few questions, please don't hesitate to get in touch.